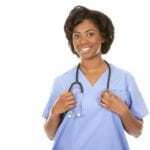 Certified nurse assisting is a great entry point for nursing or another profession within healthcare. As a certified nursing assistant (CNA), you will play an active role in patient care as you meet the basic care needs of those who are sick or injured. Responsibilities include bathing, grooming, and feeding patients, assisting patients with mobility, checking patients’ vital signs, assisting nurses with patient care and monitoring, and transporting equipment from one area to another. A CNA works closely with patients and their families, providing social and emotional support and observing changes in the patient to report critical information to nurses and physicians. CNAs work under the supervision of a licensed nurse in hospitals, clinics, home health, and long-term care facilities. The nursing assistant program at CaraVita is approved by the State of Georgia. Students acquire the skills to care for patients and residents in hospitals, home health, and long-term care facilities. The curriculum will cover basic nursing skills that will prepare students to assist residents with the activities of daily living, measure vital signs, prepare and deliver meals, make beds, transfer patients, observe patients and report concerns, and assist nurses and physicians with essential duties that fall within a CNA’s scope of practice. Classes meet Tuesdays, Wednesdays, and Thursdays from 9:00 am to 1:00 pm for seven weeks. The one-month nursing assistant training program at Woodruff Medical Training helps students begin a rewarding career in health care. Experienced instructors provide practical experiences, hands-on training, and industry support to provide knowledgeable and competent direct care professionals. 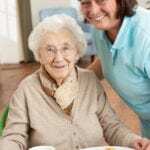 The interactive classes cover training in communication and interpersonal relationships, bed making, resident safety, infection control, basic nutrition, vital signs, transferring, ambulation and basic emergency care, assisting residents with daily care, patient bill of rights, and human sexuality. Students gain insight into clinical aspects of nursing through a rotation in a skilled care facility. The entire curriculum sets a firm foundation for graduates who plan to enroll in nursing school. Graduates are also eligible to sit the certification exam, conveniently offered on Woodruff’s campus. The program is offered on the day or evening schedule to accommodate individuals who lead busy lives. The day program runs for 4 weeks while the evening program is 6 weeks long. The state-approved nursing assistant program at the Giving Care Education Center provides real-life, hands-on simulations to produces graduates with the skills to get the job done right. The training includes classroom and clinical training in the areas of vital signs, infection control, nutrition, growth and development, resident care and safety, patient rights, transferring, hospice care, bed making, and communication. Students meet Mondays, Tuesdays, and Wednesdays in the classroom and on Thursdays at the clinical sites for 3 weeks and 1 day. Class times are 7:30 am to 3:30 pm. Tuition costs $999 and includes a workbook, one set of scrubs, stethoscope, blood pressure cuff, background check, CPR certification, and fire and room safety certificates of completion. Military spouses may be eligible for full tuition financing. 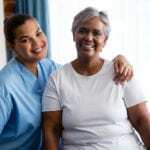 Cherokee Angel Senior Care and Training Center offers a State of Georgia approved nursing assistant program that produces competent professionals who are able to provide services in hospitals, home health, and long-term care facilities. The fast-track program may be completed in four weeks. A daytime or evening schedule is available to accommodate the work schedule of busy individuals. The curriculum combines classroom training, hands-on practice in a simulation lab, and clinical experiences in a nursing home facility and personal care home. Students learn how to stock healthcare supplies, assist the nursing in patient care, work with the physician and members of the patients’ families, assist with the activities of daily living, document and report observations, and provide medication reminders and administrative services. Students must be 16 years or older and have no criminal convictions. Tuition costs $650. There is an additional $100 for registration. Students must budget for the course textbook, uniform, and nursing supplies. Atlanta Career Institute (ACI) provides a State Approved Certified Nurse Aide Training program through Georgia Health Partnership. Graduates are eligible to take the nurse aide exam for state certification. Experienced instructors’ commitment to students’ success results in a high success rate for graduates who take the certification exam. Instruction in the classroom covers basic nutrition, communication, the role of the nurse aide, anatomy and physiology, medical terminology, patient safety, laws and ethics, and much more. Hands-on experiences in the skills lab and at a skilled nursing facility also help students develop competency in the 22 skills. An online review of the skills helps students succeed on the state exam. The curriculum covers 85 hours of classroom and clinical instruction. At the conclusion of the program, the certification exam may be administered at the school. Interested persons must provide the results of a TB skin test or chest x-ray, pass a drug screen, provide a BLS/CPR for Healthcare Providers card, pass a criminal background check, and provide two forms or ID and a social security card. All students must be 18 years or older. Weekday, evening, and Saturday schedules are available. The nursing assistant program at Faks Allied Health Canter is 4.5 to 6.5 weeks long based on the schedule. Convenient day, evenings, or weekend classes are available to accommodate busy students. The curriculum introduces students to basic nursing skills, so they’re able to measure vital signs, provide CPR and First Aid, care for patients, communication with patients and their families, understand resident rights, and utilize infection control and safety measures. In the classroom, experienced instructors cover essential topics, such as nutrition, infection control, nursing skills, anatomy and physiology, and medical terminology. The clinical experience, which takes place in a skilled nursing facility, provide opportunities for the development of clinical skills.